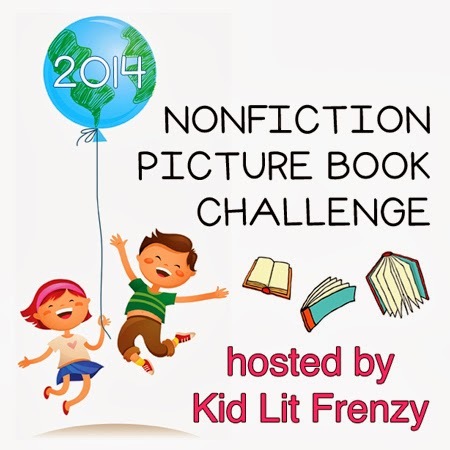 This entry was posted in Literacy, Non-fiction, Nonfiction Picture Book Wednesday and tagged G. Brian Karas, Katherine Applegate, NFPB2014, nonfiction, picture books, student writing by carriegelson. Bookmark the permalink. Loved reading about your students’ love for Ivan and all the ways you’ve extended their learning. One and Only Ivan was certainly the favorite book in my Children’s Lit class last semester. I’ve got the PB but haven’t read it yet to my son. This week for sure! I gave his 5th grade teacher a copy of Ivan and suggested it (and Wonder) as read-alouds–both huge hits. I know my son is going to be interested in learning more about Ivan. So many things that are special in both of these books by Katherine. They are a gift. Show your son some of the videos too. Really makes it all the more real. It’s great to see how Ivan has touched many people’s lives. I’m glad that books are able to make those connections! You have some awesome kids! I imagine that your students will never forget this, Carrie, the community built upon Ivan’s circumstances, the love they feel for this dear story, and gorilla. 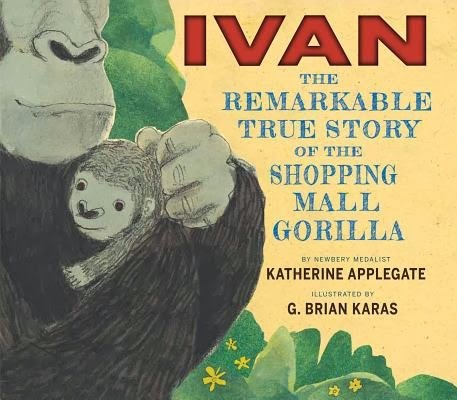 So glad this new picture book has arrived too so that all ages can learn about Ivan, and maybe learn to spread that love to many other animals. I agree – this PB is the spark for many important conversations. Ivan means so much to us. I was so excited to get home last week and read this book. Just so amazing. I just shared it with some of my 4th gr reading students this week and they loved it, so moving. I walked past another 4th grader, who I read TOaOI with this summer and she stopped in her tracks, pointed to the book and said, “Is that what I think it is?? ?” I was so happy to pass it off to her! Love that comment. It is a picture book many of us waited for impatiently! You have warmed my heart! I need this book as I loved The One and Only Ivan, so I am sure this PB will be loved as well. I LOVE seeing what you do with your students–you are an inspiration. Thanks Kellee. I was so touched by the children’s words. So very powerful. Such a powerful post Carrie. The students’ words show how books impact all of us. So true. This is a particularly special title. Thanks for retweeting this terrific post. We’ll be sure to check out the video links too. 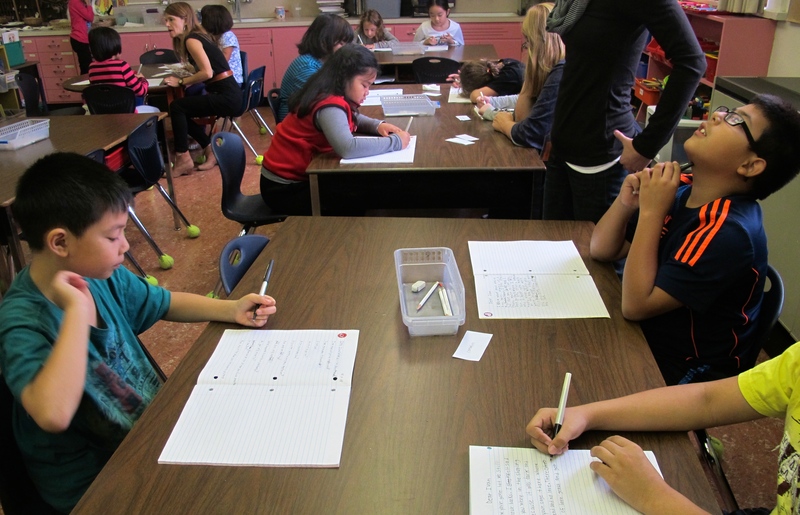 Thinking of ways we might use Ivan for personal narratives… thanks again. A pleasure – love to share these gorgeous thoughts! Myra, thanks for this. I am so lucky to have these kids. We learn together daily. It is wonderful! I keep getting weepy reading and typing these letters. So heartfelt.